This study provides an aggregate analysis of the consumption patterns as well as the substitution and complementarity relationsips among all available passenger transport modes for domestic travel in Greece. First, the study discusses the role of the transport expenditure analysis in the formation of transport policies and critically revies existing approaches for modelling travel consumption demand. The presentation of the methodological background of the study follows, through the development of a complete system of budget share equations in consistency with the theory of consumer demand and coice. This system builds on the flexible Almost Ideal Demand System. It processes information concerning both the temporal and spatial variability of demand, as well as prices and additional factors influencing the travel budget allocation of households, including socio-demographic and geographical attributes. The main trends of the consumption demand of Greek households for travel goods and services within the period 1974-2004 are then described. The study dataset is mainly based on information collected from the Household Budget Surveys of the years 1994, 1999 and 2004. Different specifications are proposed to demonstrate the significance of taking into account interactions between modal and sptial fixed effects on modeling travel consumption demand. The results obtained from the implementation of the extended panel demand system reveal the different natures of distinct travl commodities.  Also, they indicate the existence of statistically significant substitution as well as complementarity relationships in the Greek pasenger transport market. Specifically, the income compensated own?price elasticities of public transport services were found to be price elastic, while the fixed spatial effects considerably influence the consumers’ responses to price changes. The urban travel market between private vehicle and urban public transport, and the inter-urban public transport market, particularly between airplane, and coach and rail, demonstrate the most statistically significant competitive relationships. The findings of the study can provide useful insights into the formulation and assessment of transport policies, in the light of promoting the sustainable development of the transport system and peripheral areas. Such policies focus on managing travel demand by private vehicles and increasing the (integrated) usage and economic vitality of public transport services. In particular, long-range strategies, such as coordinated transport and land-use control and other planning and administrative regulatory measures, are recommended to be used as complements to subsidy and taxation policies. 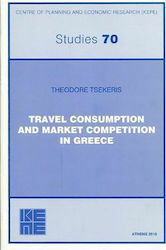 Γράψε μια αξιολόγηση για το Travel Consumption and Market Competition in Greece και βοήθησε σημαντικά τους άλλους χρήστες!